The St. Louis Cardinals announced today (Friday, January 18) their 2019 minor league coaching staffs for their affiliate teams in addition to their player development and medical personnel for the upcoming season. The Cardinals Farm System finished 6th among all teams in overall winning pct. (.534; 401-350) in 2018, as Memphis won its second-consecutive Pacific Coast League (AAA) title and also the Triple-A National Championship Game, and both Peoria (Midwest League-A) and the GCL Cardinals (Gulf Coast League – Rookie) advanced to their respective league Championship Series. 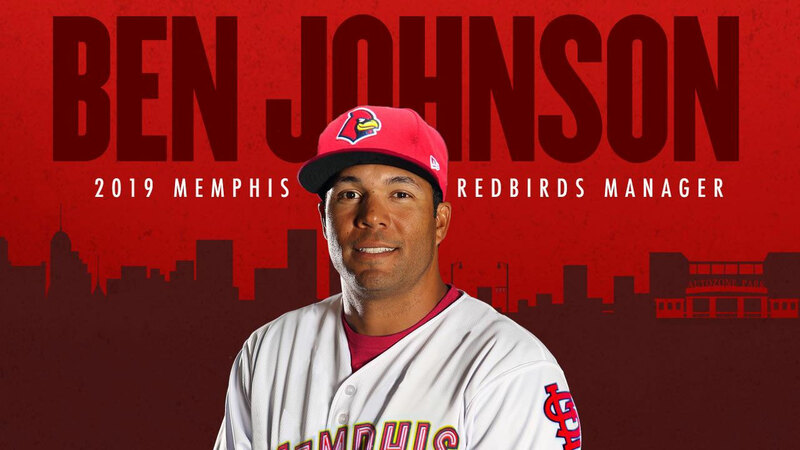 Memphis native and former Major Leaguer Ben Johnson will be entering his first season as manager at Memphis after most recently coaching the Durham Bulls (Tampa Bay-AAA) in 2018. Joe Kruzel will pilot Springfield (AA) after two seasons at the helm in State College, while Dan Bilardello (Palm Beach-A), Roberto Espinoza (Johnson City–Rookie), Fray Peniche (DSL Blue) and John Matos (DSL Red) return to their respective teams. Erick Almonte moves to Peoria (A) as manager, and both Jose Leon (State College-A) and Joshua Lopez (GCL Cardinals-Rookie) have been promoted to managers. Let’s break down the Cardinals 2019 minor league staffs and player development assignments along with the comparable roles in 2018, starting with the team coaching assignments. Most of these assignments and roles were set over two months ago, but in the interim, the organization may have been making some adjustments and filling all the coaching gaps. Subscribers to The Cardinal Nation first learned of many of these changes in early November. Kruzel is entering his seventh year of managing in the Cardinals system with a career winning percentage of .521 and Midwest League playoff clubs in 2015-2016. 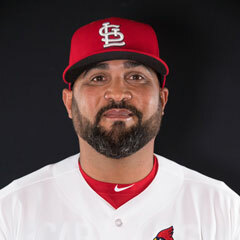 Leon is a former Major Leaguer who coached the potent DSL Cardinals Blue offense in 2018. For additional insight on both Kruzel and Leon plus much more, TCN members can read this article. The consistency under coordinator Tim Leveque is clear, with the only change a swap between the two DSL teams. Three coaches, Jobel Jimenez, Brandon Allen and Cody Gabella, each moved up one level for 2019. New hires are Tyger Pederson and Joe Hawkins. 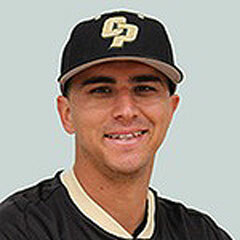 Pederson, 29, played college ball at the University of the Pacific, was drafted by the Los Angeles Dodgers and also played in independent ball. Dodgers outfielder Joc Pederson is his younger brother. Tyger spent last season as the volunteer assistant coach at Cal Poly. 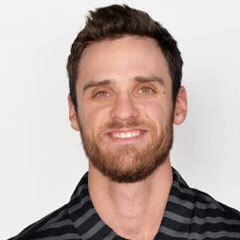 Hawkins, 25, was assistant hitting coach/recruiter for St. Louis University last season following a year at Jefferson College in Missouri as hitting coach/recruiter. The former infielder from Missouri State and Canadian native played for two seasons in the Cardinals system, 2015-2016, primarily with Johnson City. As far as the departees go, 2018 coach Mark Budaska is now with St. Louis, and apparently long-time hitting coach Roger LaFrancois will not be back for 2019. I also expect the Fourth Coach program to continue in 2019, but if so, those names are apparently not ready to be announce. Two of the 2018 Fourth Coaches, Elijah Tupuola and Craig Richmond, moved into scouting roles (see article below), while new Johnson City hitting coach Brian Burgamy was also in the Fourth Coach role at Memphis in 2018. While there is considerable consistency, key changes reflected in the above table include the staging of Chris Swauger to replace Mark DeJohn next season after the latter retires, the retirement of long-time scout and manager Steve Turco and the departure of Paul Davis to become the Seattle Mariners big-league pitching coach. Also, last year, Ryan Ludwick and Jason Isringhausen were listed as minor league hitting and pitching instructors, respectively. I know for sure Ludwick is back and suspect Izzy is, too. The final eight names, the medical staff, were not specifically called out last year by the Cardinals. Some are returnees and some are new. Finally, here are the trainers and strength coaches by level. These are very important individuals, who like the medical staffers noted just above, are unfairly overlooked while putting in long hours in relative anonymity. Most of the full-season ones are returnees, with a lot of new names at short-season.